Bob Steele was a big name in small Poverty Row pictures of the 1930s and '40s, landing lead roles in dozens of B-Westerns from the likes of Monogram and Republic. Born Robert Adrian Bradbury in Portland, Ore., on Jan. 23, 1907, Bob and his twin brother, Bill, toured with their vaudevillian parents as children. Their father, Robert N. Bradbury, came to Hollywood in the late 1910s and transitioned into film, first as an actor and then as a director. In 1920, the elder Bradbury first put his sons on the screen in "The Adventures of Bob and Bill," which was shot in Glendale, where the family lived. More often, Robert N. Bradbury shot in Placerita Canyon, which was dotted with movie ranches by the early 1920s. Bob Junior got his break in 1927 when, under contract with FBO, he landed the title role in "The Mojave Kid," directed by his father. Bob changed his name to Bob Steele for that film and stuck with it. 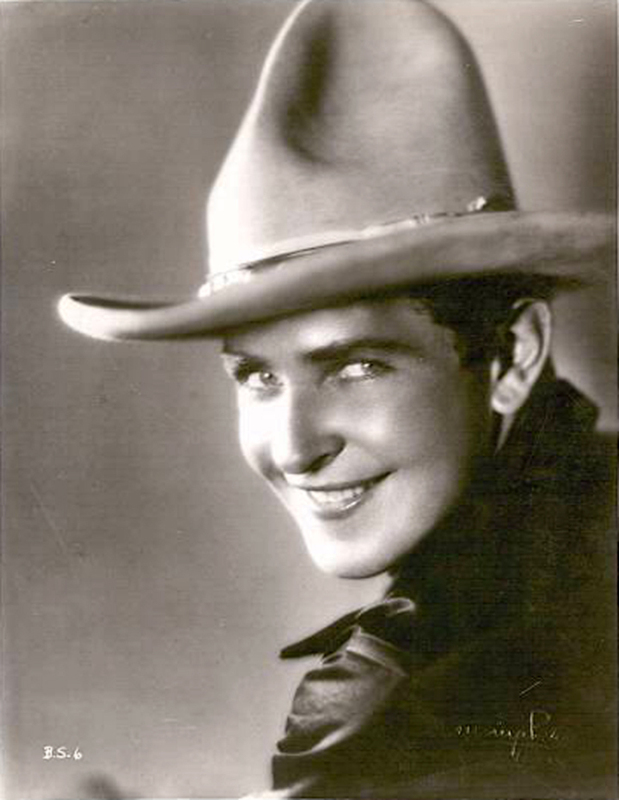 Perhaps Steele's biggest contribution to the screen came vicariously in 1933 when he convinced his dad to cast one of his Glendale High School classmates, a budding actor named Marion Morrison, as the hero lawman in a series of films produced by Monogram's Paul Malvern under the "Lone Star Productions" label. Like Steele, his friend also changed his name — to John Wayne. Steele reached the height of his popularity during the 1930s with characters that drew on his physicality. His stardom diminished as he aged, but he didn't slow down. The 1940s saw Steele and some of his contemporaries like Johnny Mack Brown and Hoot Gibson churn out numerous B-Westerns for Monogram, frequently appearing together in pictures shot at Ernie Hickson's Monogram Ranch in Placerita Canyon. During the 1950s and beyond, Steele's old high school chum returned the favor that had been done two decades earlier. Steele landed bit parts in major John Wayne pictures including "Island in the Sky," "Rio Bravo" and "Rio Lobo." Steele made guest appearances in all of the popular television Westerns of the 1950s and '60s. He had a recurring role as Trooper Duffy in the 1965-67 comedic series, "F Troop," and closed out his film career in the early 1970s. He died at a hospital in Burbank on Dec. 21, 1988, following a long battle with emphysema.